You are invited to experience an introductory flight over the stunning Wiltshire countryside. Your flight will take in views of White Horses, Avebury Stone Circle, Windmills, Hill Forts and anything else you would like to see. All of our aircraft are 2 seaters and there are two variants to choose from. You can enjoy the heated, 'weatherproof' cockpit of our fixed wing aircraft or the more exciting open cockpit flexwing aircraft (more commonly known as a microlight). 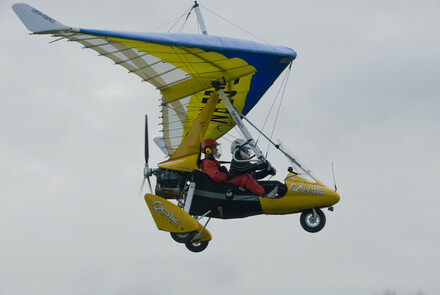 In fact, all of our aircraft are microlights but the latter is more normally associated with the word. 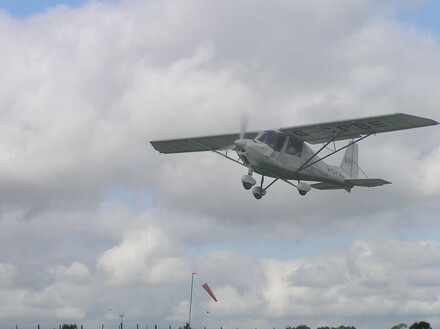 Your pilot will be a CAA qualified instructor and flights can be tailored to any length you require (starting at 20 mins). Obviously the longer the flight, the further we can go. If you want to go and land somewhere else for a coffee that's also fine - just ask us.